ESC Region 12 offers professional development, expert assistance and guidance in meeting Career and Technical Education (CTE) state and federal requirements, as well as providing college, career and military readiness information and resources. Note: To receive Carl Perkins Services, districts allocated less than $15,000 must become a member of a consortium. The Texas Education Code requires that each school district partner with at least one institution of higher education to develop and provide courses in college preparatory math and English language arts. These classes should be designed to help Texas high school seniors be ready to enter college at the time of their graduation. ESC Region 12 has developed resources to help you start your programs. (2) to prepare students for success in entry-level college courses. (2) through distance learning or as an online course provided through an institution of higher education with which the school district partners as provided by Subsection (a). (c) Appropriate faculty of each high school offering courses under this section and appropriate faculty of each institution of higher education with which the school district partners shall meet regularly as necessary to ensure that each course is aligned with college readiness expectations. The commissioner of education, in coordination with the commissioner of higher education, may adopt rules to administer this subsection. (d) Each school district shall provide a notice to each district student to whom Subsection (a) applies and the student's parent or guardian regarding the benefits of enrolling in a course under this section. (e) A student who successfully completes an English language arts course developed under this section may use the credit earned in the course toward satisfying the advanced English language arts curriculum requirement for the foundation high school program under Section 28.025(b-1)(1). A student who successfully completes a mathematics course developed under this section may use the credit earned in the course toward satisfying an advanced mathematics curriculum requirement under Section 28.025 after completion of the mathematics curriculum requirements for the foundation high school program under Section 28.025(b-1)(2). (f) A course provided under this section may be offered for dual credit at the discretion of the institution of higher education with which a school district partners under this section. (g) Each school district, in consultation with each institution of higher education with which the district partners, shall develop or purchase instructional materials for a course developed under this section consistent with Chapter 31. The instructional materials must include technology resources that enhance the effectiveness of the course and draw on established best practices. Providing support to the leadership team in gathering data to make informed, targeted decisions that support a college and career ready culture. Providing support to the leadership team to prioritize college and career readiness goals to develop a comprehensive action plan to decide how to take action on the established goals. Providing training and support in the CCR Profile Planning Guide Implementation. Maintain a system of networking among ESC Region 12 districts for information dissemination and regional systemic support for college and career readiness goals, including connections with the local P-20 Council, including the Connect3 Conference. TransformED learners PRIDE themselves in choosing robust professional development. Join this multi-disciplinary approach that focuses on individual learning and group dynamics. This synergistic academy will include teacher leaders, counselors, campus, and district administrators. A primary focus will include: Accountability (Domain 1), Administrators & Leadership, Counseling & School Health, CTE, English Language Learners, Federal Programs and Special Education. Vidcode is the most engaging coding curriculum for tweens and teens. Vidcode teaches teens to code by empowering them to create the things they enjoy in their daily lives with code, including video filters and memes. 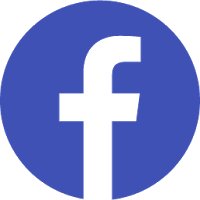 Vidcode is partnered with ESC Region 12, NYC schools, Facebook VR Education and Snapchat to reach teens all over the world. Information will be sent to update group members regarding CTE / Perkins IV deadlines. Updates and changes in Perkins IV will be sent out with information that pertains to both state and federal Career and Technical requirements. In addition to this, all CTE workshops and activities will be announced to remind all members of current offerings and professional development activities available. Today’s cutting-edge, rigorous and relevant career and technical education (CTE) prepares youth for a wide range of high-wage, high-skill, high-demand careers. Held annually in May, this event is the premiere Career Exploration Event for Youth in the Heart of Texas. Students are exposed to in-demand occupations with leading employers in high-growth industries. Youth are provided with a clear understanding of career opportunities, hands-on activities, and access to dual credit opportunities. The Connect3 Regional Career and Technical Education (CTE) Conference is held each June. This conference invites teachers and education administrators to participate in networking and building a repertoire of strategies for increased success in the classroom and academic integration into CTE classrooms. The name Connect3 symbolizes the important connection between college, certifications and careers for a successful CTE and Core curriculum. Approximately 100 colleges from across the nation are represented during the annual Heart of Texas College Night held in September. The event, free and open to all students in grades 7 to 12 and their parents, provides them with the opportunity to visit with college representatives and learn more about college without the expense of travel. The date is set for Monday, September 24, 2018, from 6 to 8 p.m. at Vanguard College Preparatory School. 16 area high schools join together in September to bring students and their families to this exciting event! This event features more than 100 colleges and universities. Representatives from each college will be present to discuss information with students and their families. The date is set for Thursday, September 28, 2017 from 6 to 8 p.m. at the Bell County Expo Center in Belton. To learn more and register visit www.gotocollegefairs.com . View the information flyer for more information. Held annually in October, this event is held to inspire students to pursue careers in the community in science, technology, engineering, architecture, and mathematics. Middle and high school students are invited to explore these fields during this free event. This event is hosted by the City of Waco Public Works Department. The event will be held on Tuesday, October 11, 2017 at the Waco Convention Center from 8 a.m. to 2 p.m.
Register through the City of Waco Texas Public Works page . Ag, Architecture and Manufacturing teachers and students attend the annual expo in February. This expo is a partnership of ESC Region 12 and Waco ISD Greater Waco Advanced Manufacturing Academy (GWAMA). It is sponsored by Matheson Gas, TSTC Welding Program, ESC Region 12 and Lincoln Electric and many more. This hands-on event is dedicated to promoting careers in advanced manufacturing, welding and construction as a viable option for a long lasting and profitable careers. This is a completely hands on demo-style expo. Students and teachers are able to see and use all of the latest technology in the industry.This years event will be at GWAMA. “P-16” describes an integrated system of education stretching from preschool (the “P”) through a four-year college degree (“grade 16”). It is designed to improve student achievement by getting children off to a good start, raising academic standards, conducting appropriate assessments, improving teacher quality and generally smoothing student transitions from one level of learning to the next. It also focuses on helping all children meet the proficiency levels needed to succeed at the next education level and in the workforce. The P-16 philosophy supports students during their early education and K-12 public school experience and builds a bridge from high school completion to postsecondary success. Membership includes local and regional K-12, higher education, and business and community leaders. Regional P-16 Councils work to address the complex issues in their local education systems, while promoting a college-going culture and serving the important purpose of strengthening the state’s progress toward the goals of Closing the Gaps. 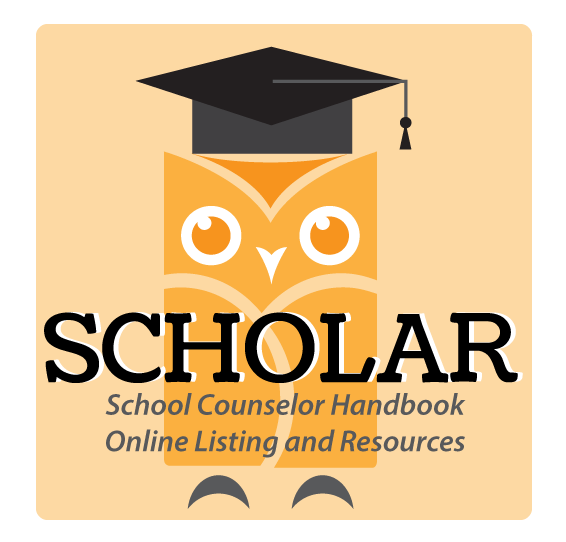 SCHOLAR is an organized collection of resources and information, separated into 4 categories relative to typical duties of school counselors.